Big Data has the potential to utterly transform our society. Applying big data to the industry offers many opportunities to maximise productivity and competitiveness at global scale. That is what the AURA Technology sets out to do by using Big Data to predict the expected behaviour and detect future failure of the key assets of a company, such as wind turbines. Based on operational data generated by 10.000 wind turbines, AURA enables wind energy companies to plan predictive maintenance strategies and decrease the operational and maintenance costs linked to unplanned shutdowns or energy loss, leading to savings of up to 2000€/MW. This helps making wind energy more competitive, increasing its share in the energy mix. In the railway sector, AURA predicts future failure and prevents accidents while optimising the maintenance of train wheels, improving their lifetime of up to 30%. In short, AURA helps companies make better decisions for the continuous improvement of their business. Asset owners are increasingly seeking cost reductions in the operation and maintenance of their assets, such as wind turbines or train wheels. For this, operators need access to data to make both good diagnostics and prognostics. Diagnostics today come as a standard feature in the industry and are seen as a mature field. However, forecasting is still at early stages of development and fragmented. Besides, owning assets from multiple vendors is common, while the control and hardware monitoring systems embedded in the asset are unique to each vendor and mostly presented in a way that has a little analytical use. This is where the need for multi-brand monitoring and analytics solutions arises. Through their spin-off NEM Solutions, EARTO Member Tecnalia developed the patented AURA technology with the objective to take Operations & Maintenance of such assets to a higher level, using advanced BigData solutions for future asset behaviour projection especially in the Railway and the Wind Energy Industry. AURA is able to model the normal behaviour of main subsystems of an asset, offering detailed information of its condition in real time via a smartphone application, to identify quickly those which require attention. 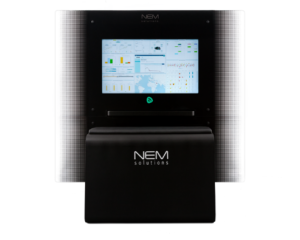 Thanks to algorithms developed in-house by NEM Solutions, it is also able to detect any deviation of the behaviour that can represent a failure before it even occurs. 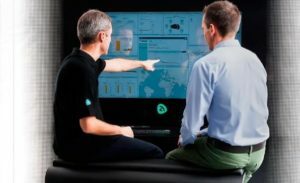 Therefore, AURA considerably reduces assets’ downtime thanks to a better maintenance planning minimising energy loss and reducing the repair costs. The innovation is already deployed and recognised as one of the most advanced technologies in the market regarding failure anticipation and business management, both in the railway industry and in the wind energy sector. The solution manages over 65 million railway wheel measurements from Metro Beijing to Metro Los Angeles as well as around 10.000 wind turbines. In May of 2016, the wind energy company Gamesa acquired 50% of NEM Solutions, the remaining 50% belonging to the train manufacturer CAF, both in the top 10 of equipment manufacturers in each market. Tecnalia is a Spanish RTO aiming to transform knowledge into GDP by creating business opportunities for companies through multidisciplinary and applied research, improving people’s quality of life. Experts of more than 27 nationalities, in 22 headquarters all over the world, visualise, identify and develop comprehensive technological solutions with creativity and imagination for more than 4,000 clients.